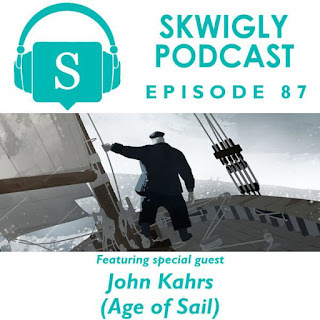 In the latest episode of the Skwigly Animation Podcast we welcome back one of our earliest guests, Paperman director John Kahrs, whose latest film Age of Sail was made for Google Spotlight Stories and launched online earlier this month. 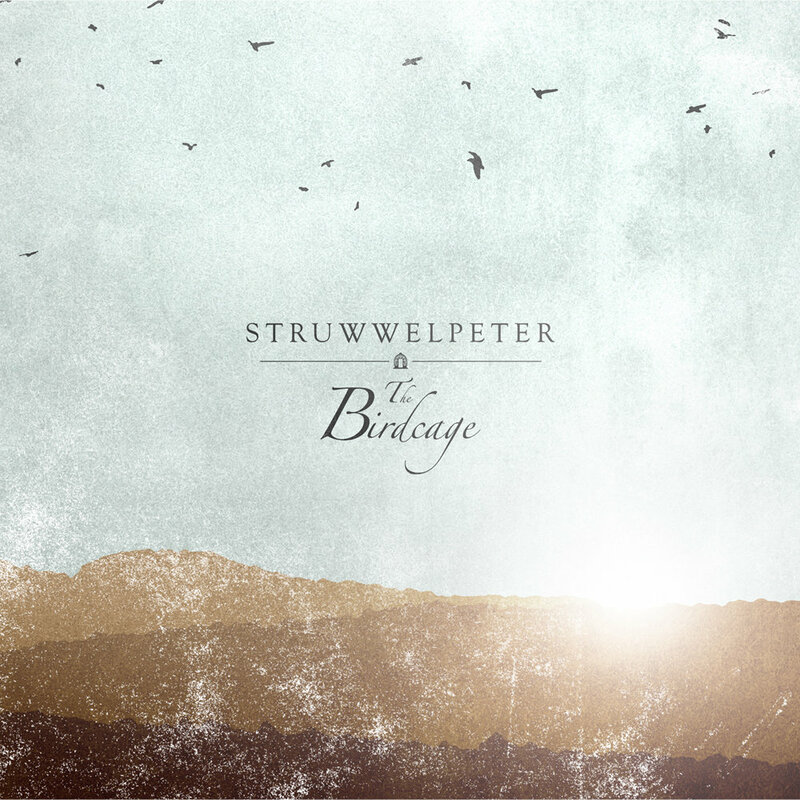 Give 'er a listen below or direct download here. 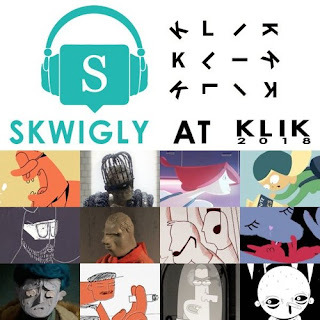 Also discussed in this episode: Skwigly’s Manchester Animation Festival events, the brilliance of Frame Order, Women In Animation’s male allies panel at Annecy, the response to Ringling College’s dismissal of Anime and the upcoming BBC4 documentary Secrets of British Animation. - the broadcast date for which has been confirmed as this Sunday, December 2nd at 9pm. So pencil it in, you pencilling little pencillers! On the subject of firming up times and dates, I now know that Sunscapades will screen as part of the 16th MUMIA Underground World Animation Festival's International Competion 8 programme at 6:30pm December 6th at the Sesc Palladium in Belo Horizonte, Brazil. Should be a fun time, so get your fine Brazilian selves down there. Speaking of Brazil, following the series' broadcast earlier this year on CINEBRASiLTV, one of the episodes of the Brazilian preschool series Lendas Animadas that I animated is now available to watch for free on the streaming platform comKids. It will probably make it easier if you speak Portuguese, although I can't and I followed it well enough to animate it. I'm pretty sure the main message is that singing turtles are troublemakers. A few more little spurts of news to keep y'all in the loop. Firstly I'm glad to hear that Sunscapades will be playing at the 16th MUMIA Underground World Animation Festival in Belo Horizonte, Brazil. These folks previously included The Naughty List and Klementhro in their tenth and fourteenth editions respectively, and every time I have work played there it's always in grand company indeed. This year's official selection also includes such amazeballs talents as Anete Melece, Job, Joris and Marieke, Jennifer Zheng, Steven Woloshen and Tal Kantor. The full list can be found here and I'll get back to you with exact screening times and locations. In a few days' time however you can catch the film at the 2018 Animation Marathon - well, you can if you happen to be in Greece. Sunscapades will be playing in Competition 7 which plays twice this Friday, November 23rd - 1pm at the Serafeio Complex, then 6pm at the University of Athens. I expect many of you will be caught up in the fevered fervour that is Black Friday, or Cyber Monday, or whatever name has been assigned to our culture's hallowed tradition of consumer discounts by corporate decree this year. While a brief search does indeed indicate that my book Independent Animation: Developing, Producing and Distributing Your Animated Films can be picked up at various percentages off at various online outlets, it looks like the best deal you can get is if you grab it from the publisher directly, as until this Wednesday (the 21st) it's available at a whopping 20% off (25% off if you get more than one Taylor and Francis book)! 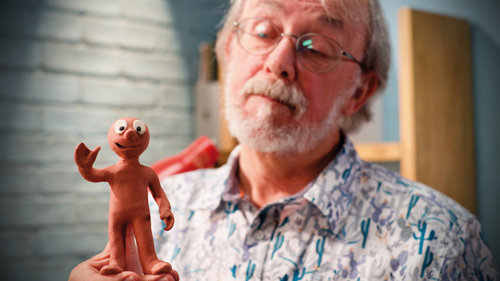 As far as seasonal gifts go - for either yourself or the aspirational animation filmmaker in your life - one could do a lot worse, as it's crammed with inspiration, advice and wisdom from the cream of the indie animation crop. Plus the shipping is free. FREE, I TELLS YA! 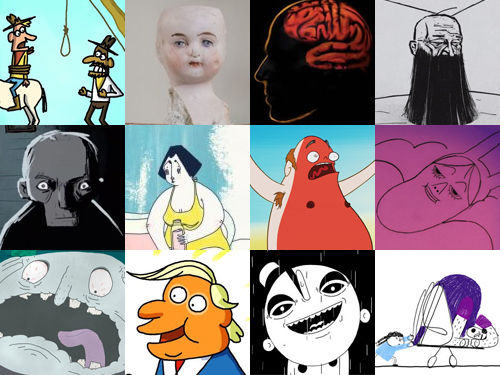 Speaking of festivals, don't forget that next week is the fourth edition of the Manchester Animation Festival, fast becoming one of the industry's most exciting fests and boasting its best line-up to date. As well as the usual programmes there are special events including a Barry Purves retrospective and behind-the-scenes presentations for Chuck Steel: Night of the Trampires, Isle of Dogs, This Magnificent Cake and The Highway Rat, not to mention a whole heap of panels loaded with industry wisdom if that's what you're in the market for. Immediately afterward in the same room Steve and I will be torturing festivalgoers with another edition of our infamous Skwigly Quiz. The questions will kick your arse but the prizes will be pretty amazing so you may as well try your luck. On the following day (the 15th) you should also swing by the Student Films Panorama to catch Laura-Beth Cowley's wonderful Boris-Noris. The one will be at 2:20pm at Cinema 2. Also on the 15th I can confirm the screening time for Sunscapades at the Abertoir International Horror Festival of Wales will be at 3pm for Short Films Competition Part 1. 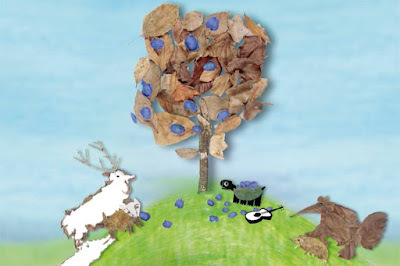 The festival takes place at the Aberystwyth Arts Centre in Ceredigion, Wales and should be a blast, so check out the full schedule here and swing by if you can. Right after that will be the Rome Independent Film Festival, an event that will see Sunscapades return to the fragrant shores of Italy. You can catch it in the shorts programme that will kick off at 4:20pm at the Nuovo Cinema Aquila on Monday November 19th! Meanwhile, back here in the rainy U of K, the BFI will be presenting a special preview of a new BBC4 documentary Secrets of British Animation followed by an onstage chat with the director Seb and the legendary Joanna Quinn, who I gather is featured quite prominently in the documentary (rightly so). I've not seen it yet but having had some peripheral involvement in it I can definitely say it's been put together with a lot of love and consideration. Plus hearing Joanna talk animation is always a joy, so if you can get yourself a ticket you won't regret it. Right now the broadcast date isn't 100% confirmed but I'll follow up when I know for sure. 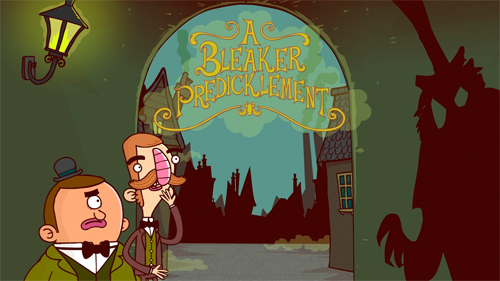 One last November nugget to nibble on is the excellent news that, following the first game's release on Nintendo Switch earlier this year, The Adventures of Bertram Fiddle - Episode 2: A Bleaker Predicklement will be doing likewise on the 22nd! Be sure to get it downloaded and treat yourselves to more puzzles, puns and dubious, hopefully-not-actually-offensive accents from my good self. Now g'wan and get back to work, you.